"Go on in the same range-pass curious mts. Which delight me, most of a fine brick color on the right hand & rising perpendicularly & on the left covered partially with surf." 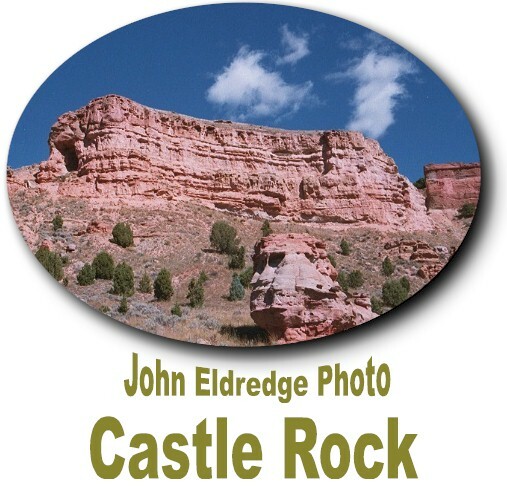 "For a long distance these rocks line the righthand bank of the canyon, their massive red sandstone fronts towering from 500 to 1500 feet above the little valley, and bearing the general name of 'Castle Rocks'."